Prof. Dr. Reiner Kirchheim received his PhD in Physics from the University of Stuttgart in 1973. Until 1993 he worked as a senior research scientist at the Max-Plank-Institute for Metals Research in Stuttgart. He joined the faculty of Physics at the Georg-August-University Göttingen, where he became full professor in Materials Physics in 1993. From 1979 till 1998 he was visiting for longer periods of time Rice University, University of Illinois, Ohio State University and NIST as a post doc and visiting professor. In 1991 he co-chaired the Gordon Research Conference on Hydrogen-Metal Systems. Since 2009 he has become a Professor of the state of Lower Saxony continuing his work at the University of Göttingen. In 2010 he was elected a member of the Max-Planck-Society and an external Member of the Max-Planck-Institute for Iron Research in Düsseldorf. Since 2011 he is also Principal Investigator at the World Premier International Institute for Carbon-Neutral Energy Research, Kyushu University, Japan. Prof. Kirchheim is known for his research in the field of thermodynamics and kinetics of materials with special emphasis on hydrogen in metals. He has published more than 250 papers and was announced a “highly cited author” in Materials Science by ICI. He is an elected member of the Göttingen Academy of Science, the German Academy of Technical Sciences and a foreign member of the US National Academy of Engineering (class of 2017) and has been a recipient of several other awards, including the Carl-Wagner-Price from the Bunsengesellschaft, the Honda Memorial Award from Tohoku-University, the Heyn-Memorial Medal (highest award of the German Society of Materials) and the Lee Hsun Lecture Award from the Chinese Academy of Sciences. 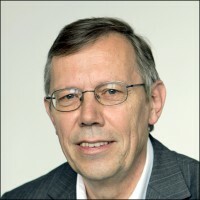 He is a recipient of a Reinhart Koselleck-Project of the German National Science Foundation and an honorary member of the German Society of Materials.